The Community Relations is responsible for all written and electronic communications for the Citrus County Sheriff’s Office. This office educates the public referencing all Sheriff’s Office programs and services; communicates details referencing crimes and other incidents; handles all media inquiries; releases public records in compliance with the Florida Public Records Law; coordinates community events for the agency; assigns speakers for community presentations; schedules and conducts news conferences; coordinates the agency’s emergency communications; and handles other special projects as directed by the Sheriff or his command staff. The office utilizes a variety of methods to communicate with the public, including social media. The Sheriff’s Office strives to partner with the community in all of its endeavors. 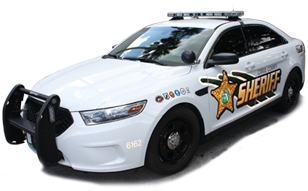 Currently, the primary methods used to communicate with the citizens of Citrus County include the The Sheriff’s Star, Serving Citrus newsletter distributed via the Citrus County Chronicle, news releases, radio spots and social media. Be sure to follow us on Facebook and Twitter. The Community Relations always strives to be responsive and professional in its activities, acting in full compliance with the Florida Public Records Law and in the best interests of the agency, the news media and the people of Citrus County. Routine media inquiries and records requests are handled as expeditiously as possible during normal business hours by the PIO. After hours and on weekends and holidays, a PIO is always on call for emergencies and significant breaking news events. After hours, the on-call PIO generally will not have information readily available regarding non-fatal vehicle crashes, routine arrests, crimes not resulting in death or critical injury, or the status of cases that are not considered breaking news. Written records, including arrest affidavits and offense reports, generally are not made available by the PIOs after hours or on weekends and holidays. However, non-exempt arrest reports may be accessed by the media and the public via this website. On-call PIOs should be contacted only in situations of high importance. After hours and on weekends, news media representatives should check first with the communications supervisor by calling 352-726-1121. The communications supervisor also can let the media know which PIO is on call. Listen for Sheriff’s Office information via radio, watch for important news and updates on television, and keep informed about the agency via periodic newspaper articles and columns. Daily general public information requests may be made by calling the records office at 352-726-4488. Media records requests can be sent to Brittney Patel at bpatel@sheriffcitrus.org or via phone at 352-341-7486. Requests for 911 call recordings should be directed to the Records Department at 352-726-4488 or publicrecords@sheriffcitrus.org . A CD/DVD, redacted if necessary, will be provided and there is a $14.00 minimum charge. A $10.00 deposit is due at the time of the request. The remaining balance is due upon pick up of your request. Charges are based on an hourly rate and could vary depending on length and number of calls. CDs/DVDs are playable using a computer CD/DVD drive. Turnaround time is usually no less than 10 working days. Field Trips: To schedule a school field trip at our Main Operations Center in Inverness or Emergency Management Operations Center in Lecanto – please contact Jessie Santero at 352-341-7489 or jsantero@sheriffcitrus.org. View and print the 911 audio request form. We encourage you to share your thoughts as they relate to the topic being discussed. You are fully responsible for the content of your comments. We welcome your comments, but we expect comments generally to be courteous, follow our rules of decorum, and be related to the posting being discussed. To that end, we have established the following policy and we reserve the discretion to remove comments that: contain obscene, indecent, or profane language; contain threats or defamatory statements; are bullying, intimidating, or harassing any user; contain personal attacks; contain hate speech; promote or endorse services or products; suggest or encourage illegal activity; are multiple, repetitive off-topic posts by a single user (spam); are not topically related to the particular posting; are related to or could impact an open investigation, or violate a legal ownership interest of any other party. In short: be nice. Our rules of decorum are in place to encourage civil discourse and to prevent a poster from disrupting dialog in a way that prevents or impedes the accomplishment of the purpose of our Facebook site. 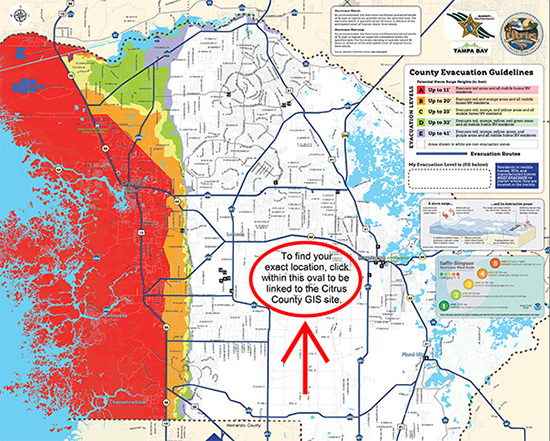 Our purpose is to convey important public safety information, increase our ability to quickly, effectively, and efficiently reach Citrus County residents to help us find criminal suspects, find missing and/or endangered persons, communicate public safety alerts, and further our mission of preventing, reducing, suppressing, displacing, solving, and fighting crime in Citrus County.